Online shopping is a form of electronic commerce which refers to the process of buying goods or services by consumers directly from a seller in real-time, without an intermediary service, over the Internet. 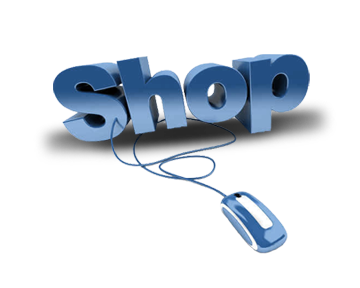 Online shop have lots of synonyms: eshop, e-store, internet shop, webshop, etc. - all of them represent an analogy of physical retailer store or a shopping center. The process of transaction between business and customer is called Business-to-Consumer (B2C) online shopping. Like many online auction websites, many websites allow small businesses to create and maintain an online shops (E-commerce online shopping carts), without the complexity that involved in purchasing and developing an expensive stand alone E-commerce software solutions. Nowadays the question how to choose on-line shop software is a topic number one in the field of E-commerce as this software ensures the process of online shopping. Quality on-line shop software is what can make your business go easy and successful as well as slow down and complicate its work. 1. Is the software regularly updated. In the modern world you just can't afford to stay on one place for a second. If you stop, you don't develop – means another business owner is developing at the same time. That's why it is strongly recommended to have software which has the latest versions and therefore is able to keep up with the times. 2. Is the online shop software customizable. Certain products and services may require some special features from your software. So first of all think about what you're going to sell, products often dictate their requirements to the software - you must be sure that you will be able to add anything to your online shop you may need. 3. Is it possible to connect your webstore with social networks like Twitter and Facebook. Social networking is becoming more and more popular, and it's used very often for online business. New ways of communicating and selling appear all the time over the net so your online shop software should be available for updating and customizing. 4. Does it provide possibility for blogging. Blogging is one of the most popular ways of promoting business. Publishing a blog can create another stream of targeted website traffic. Besides it's a good way of communicating with your customers. 5. M-commerce is a rapidly changing field which provides with an ability to conduct business using different mobile devices. New technologies accelerate innovation in mobile commerce. Considering the fact that the world becomes more and more mobile, it is important to have the possibility of adding mobile version of your online shop. 6. There must be various payment and shipping methods already integrated in the cart as well as the possibility to integrate new methods should be provided. If the business is going to become international, it's necessary to offer customers a wide choice of payment and shipping methods. 7. Online shop software should be SEO-friendly. It means that software provides an opportunity of creating SEO friendly URLs and page titles. This helps to drive traffic to your site and as a result increase sells. In conclusion, it's worth pointing two general and most important tips for online shop sofware: it should be regularly updated and customizable in order to be able to compete with other online shops. "Frankly I think that's abslouetly good stuff."